Week number two was fantastic! 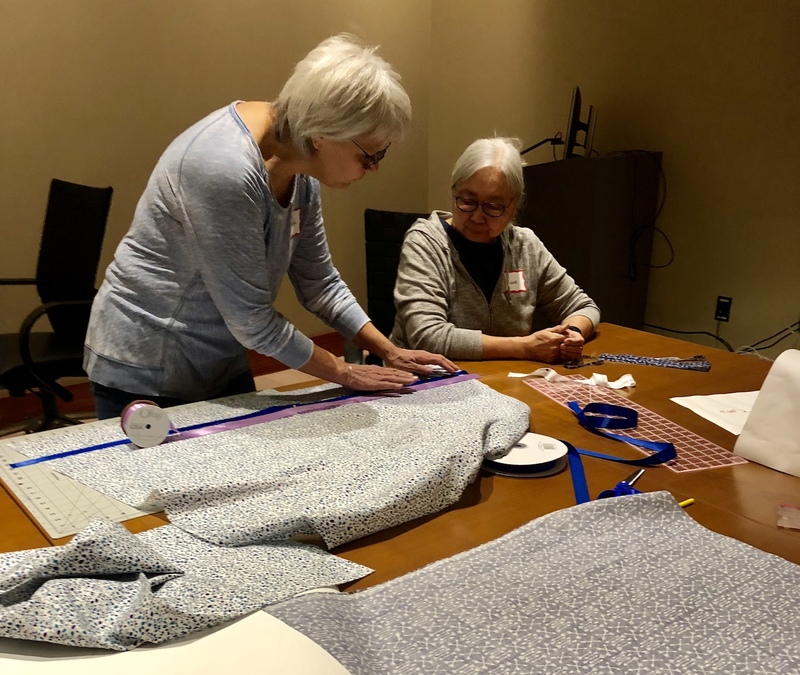 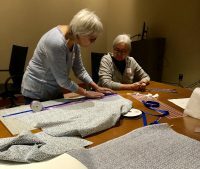 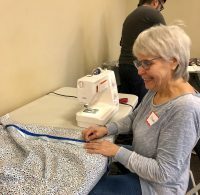 We had 17 people come to help us sew including grandmothers, moms, aunties, alumni, students and two dads! 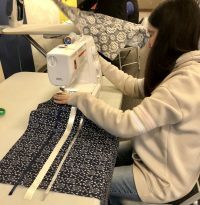 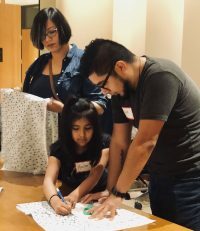 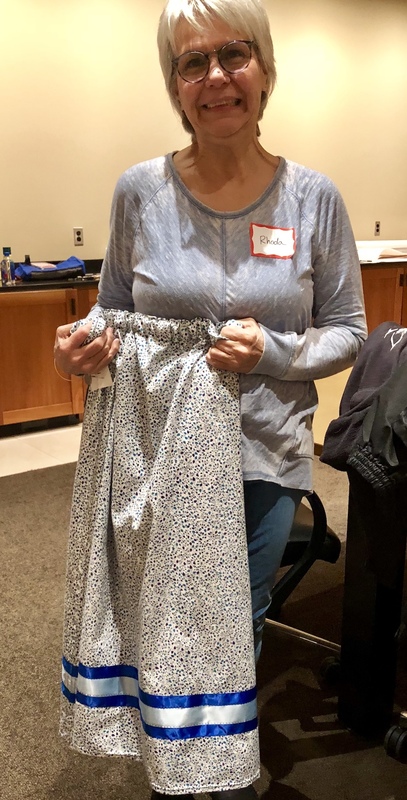 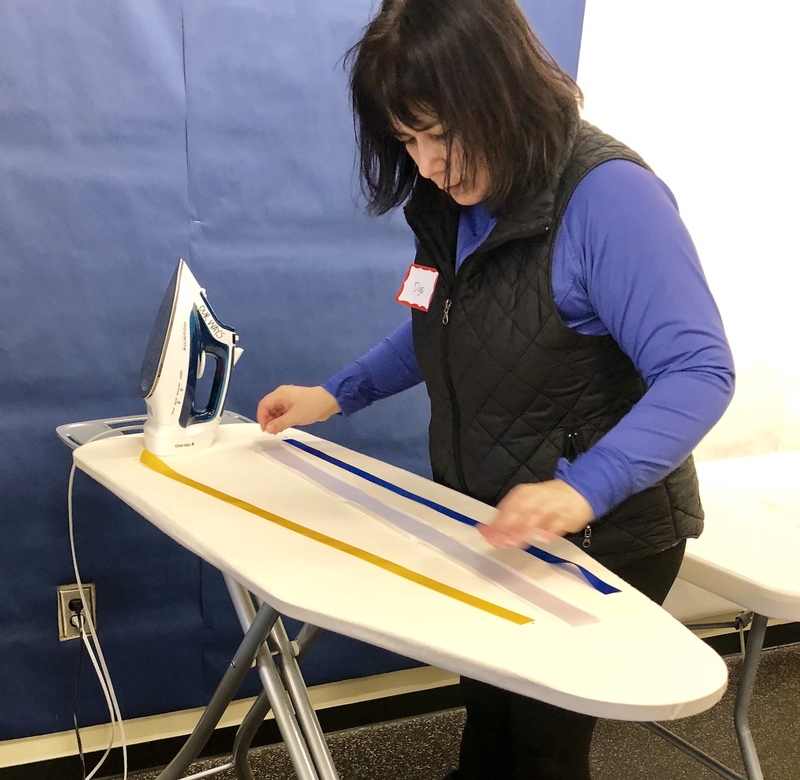 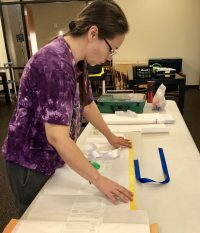 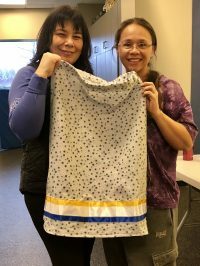 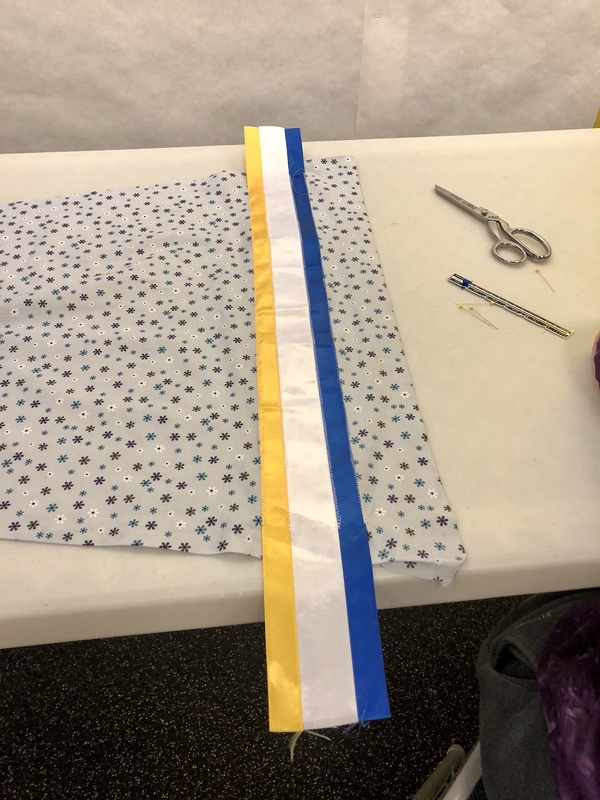 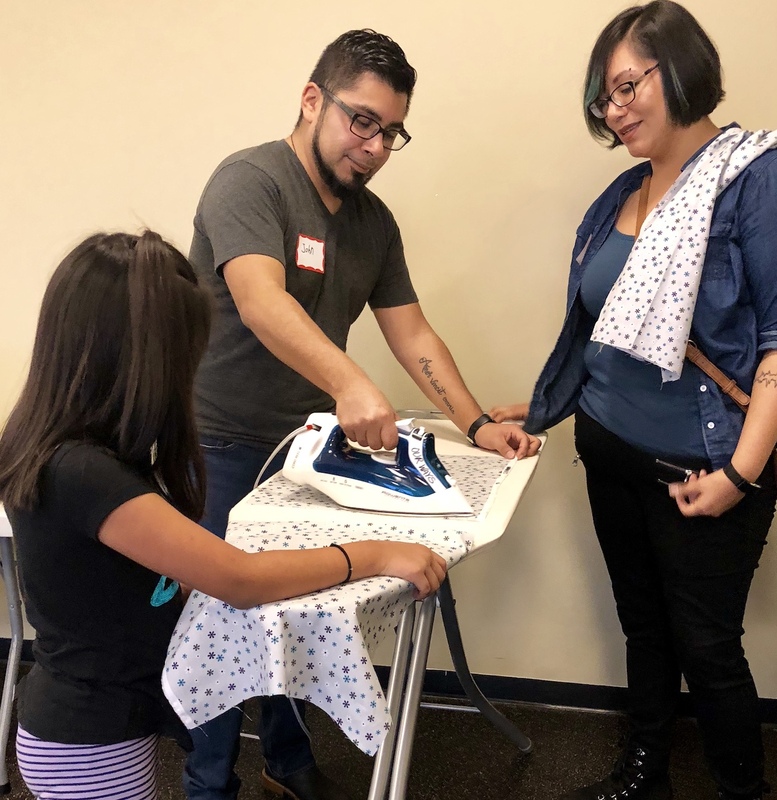 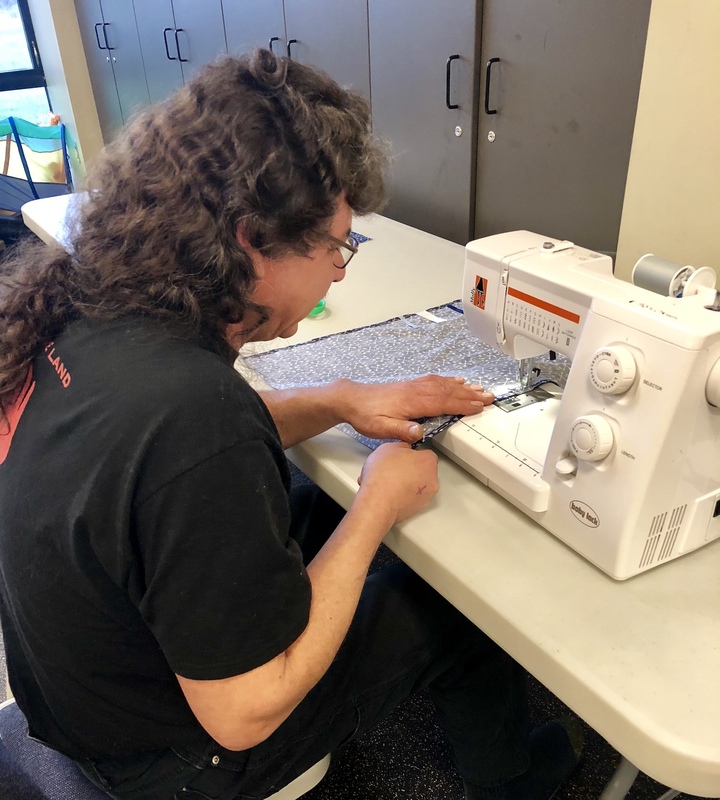 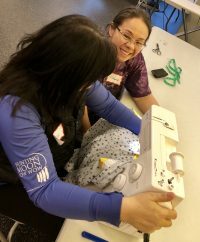 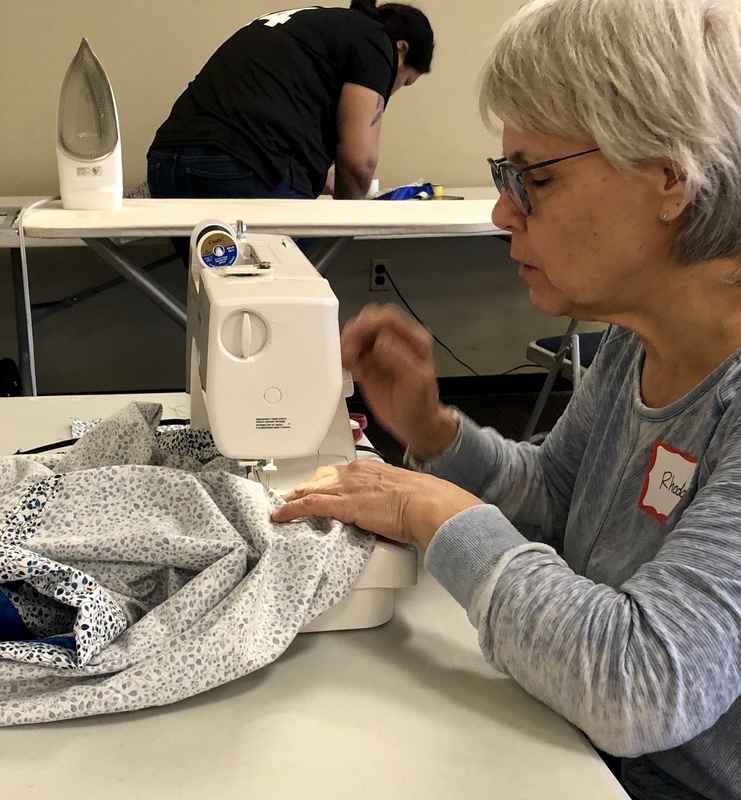 Board members from Spotted Eagle joined forces to work on a beautiful ribbon skirt as did a new family to our school (mom, dad and daughter), sewed a ribbon skirt as a family project. 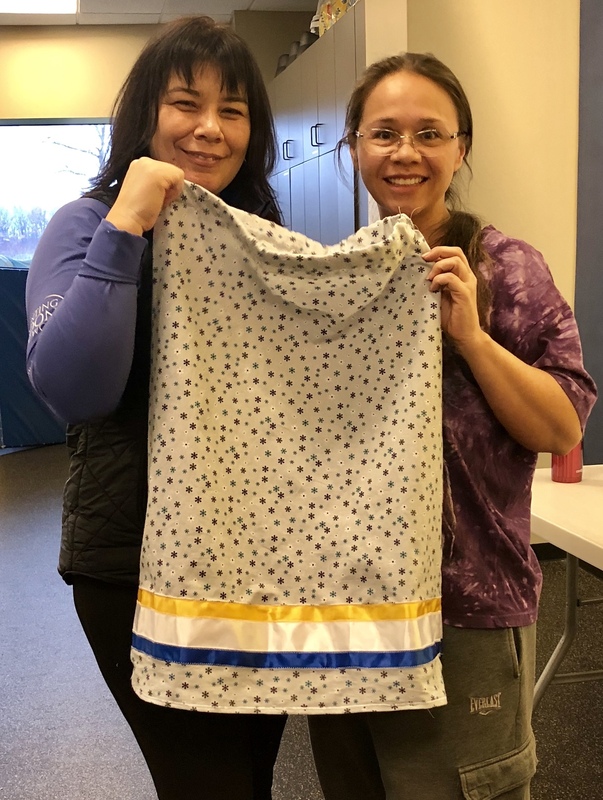 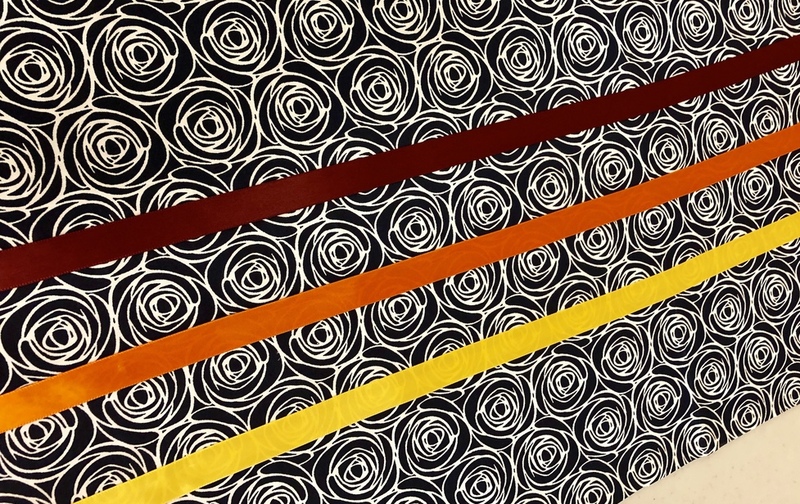 MIIGWECH – YAW^KO – WAEWAENEN – PINAGIGI (THANK YOU) to Dawn Hamilton who donated ribbon – she saved the day! We know there are more donations coming and we will be sure to acknowledge everyone who sends supplies or garments each week! 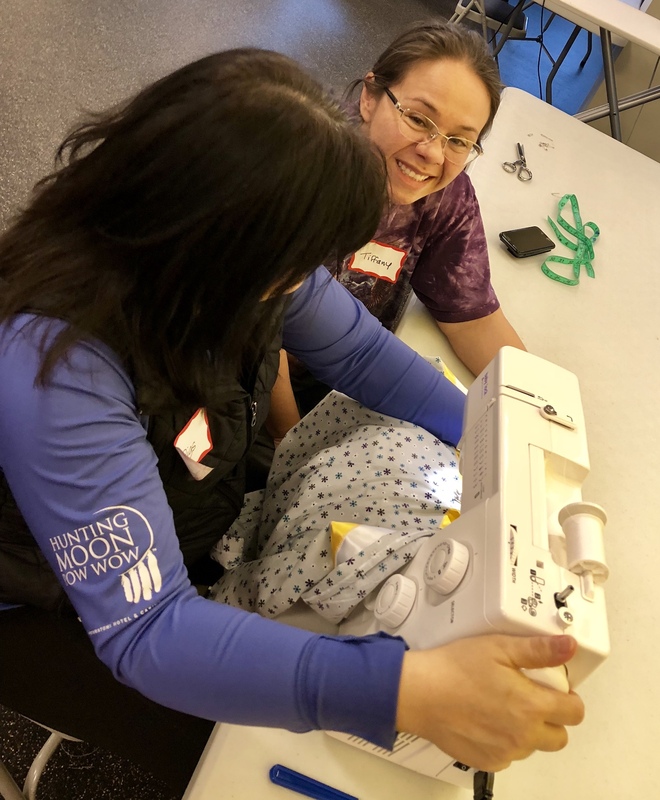 PLEASE NOTE: WE WILL NOT BE SEWING ON SATURDAY, JANUARY 19, 2019 DUE TO THE BEAR MOON POW WOW. 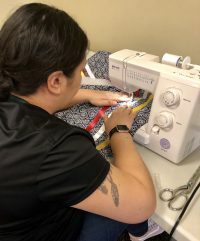 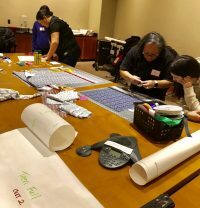 Indian Community School has committed to sewing ribbon skirts, shirts and vests for our students to wear during our ceremonies, pow wows and cultural celebrations. That means 255 ribbon skirts for our girls and 175 ribbon shirts or vests for our boys, ages K4 through 8th Grade! If you would like to donate your time, fabric or finished garments to this effort, please contact Siobhan Marks at smarks@ics-edu.org / 414-525-6118 or Audra Williams at auwilliams@ics-edu.org / 414-525-6144. 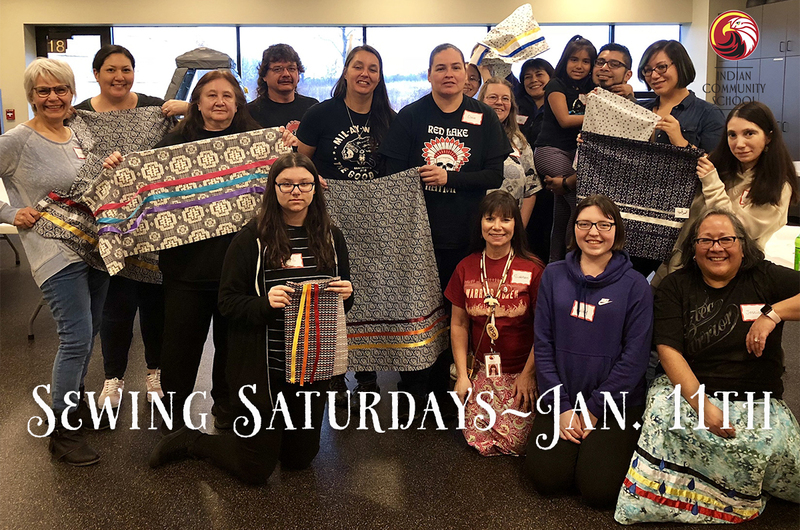 To download the Sewing Saturdays flyer, please click here.